Plans for a huge mixed-use development next to Nottingham’s railway station been given the green light. As Business Link revealed, in May, urban developer Bildurn moved a step closer to delivering their new mixed-use development on Station Street in Nottingham, signing an agreement with Vita Group, bringing forward the residential element of their mixed-use development next to the station. 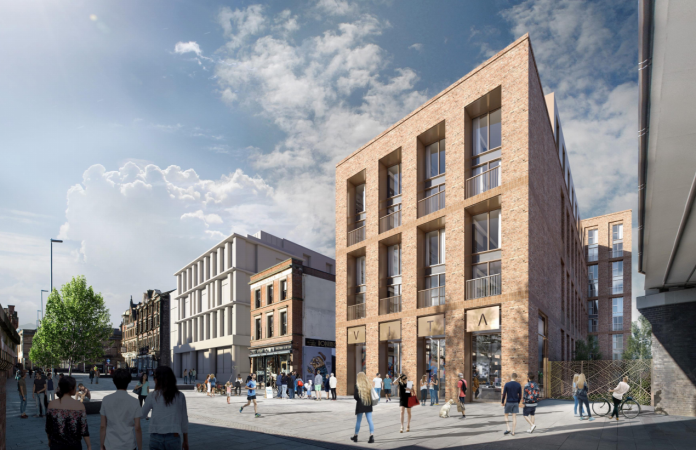 The project which faces the new pedestrianised area on Station Street will offer secure basement parking and cycle storage, 24-hour access, electric car charging points and high quality contemporary finishes as well as backing on to a waterway aspect. The building will also feature a roof garden – which would be one of Nottingham’s first dedicated office developments to offer a terrace for employees overlooking the city. The residential phase is planned to start in September of this year, followed by the construction of the office block next door at No.11 said Sean Akins, Managing Director at Bildurn, in May. Tim Witt, Development Manager at Vita Group, added: “We’re very pleased to be part of this exciting development for Nottingham. Vita Group’s ethos is all about our commitment to creating connected communities, innovatively bringing together work, leisure and living.